Keller Williams Dallas Metro North is seeking donations or supplies to help the victims of Hurricane Harvey. I want to let everyone know that I will be gone next week for vacation and am hitting the beach. Hooray for fun in the sun! My next Rosemary’s Rubies email will be after Labor Day on Friday, Sept. 8th. Our office will be closed on Monday, Sept. 4th for the Labor Day holiday. Labor Day is a federal holiday and a day of rest or the last chance for many people to go on trips before the summer ends. For students, it is the last chance to organize parties before school starts again. In some neighborhoods, people organize fireworks displays, barbecues and public arts or sports events. The American football season starts on or around Labor Day and many teams play their first game of the season during Labor Day weekend. Please take some time to relax and not labor this holiday. I am going to enjoy some R&R so I can come back better than ever and I hope you will too! If the effective date is not filled in, does that mean that there is no contract? No. By signing the forms, the parties have instructed the broker to fill in the final date of acceptance as the execution date. If the broker failed to fill in the effective date, the broker may be placed in the precarious position of later having to determine the effective date of the contract. The final date of acceptance is a fact issue that must be resolved either by the parties with the assistance of the brokers or ultimately a court of law. Because many deadlines are set from the effective date, it is crucial that the effective date on the contract is filled in. 3. Acceptance must be unequivocal. 4. The last party to accept must communicate acceptance back to the other party or the other party’s agent, if applicable. Do Not Call Sentry LLC will be discontinuing its operations and shutting down the DNC SENTRY do–not–call compliance service on September 30, 2017. For nearly 14 years, DNC Sentry has been the only dedicated do–not–call compliance tool specifically designed for the real estate practitioner. Unfortunately, the changing economics of the business along with required additional investment of time and other resources make it impractical to continue. HAPPENING AGAIN NEXT FRIDAY, SEPT. 1ST! September 20th & October 3rd! Yikes! School starts in North Texas soon! 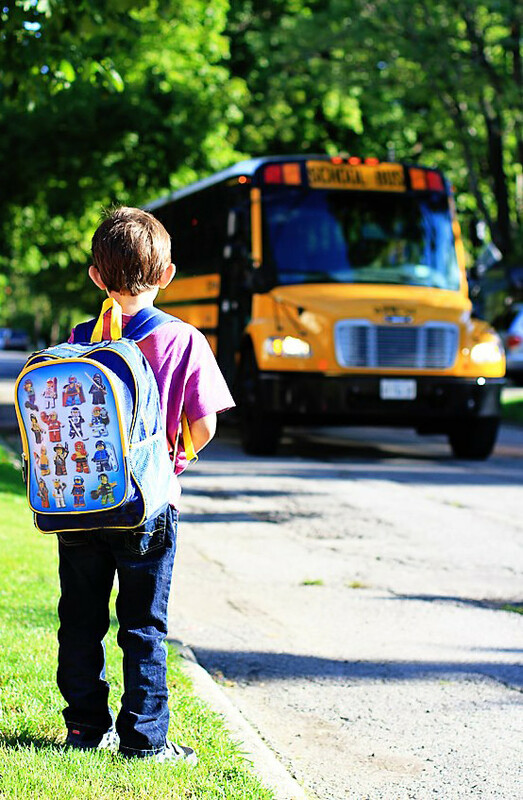 Whether you’re new to the area … or new to your neighborhood … or your child is attending a new school, it’s a fact that transitioning can be difficult for kids. There are things you can do before and during your child’s switching to a new school to help them feel comfortable, and get used to their new environment. Talk it out: Ask your child questions like what are you most excited about for your first day of school? What are you worried about? The way you talk about going to a new school will shape how your child views it. Replicate first day of school traditions: Continue on with former traditions like making a special breakfast for the first day, or planning a stop at the library, or a visit to grandma’s house after school. Offer your child a little extra TLC and minimize changes within the home. Make new friends early:Take advantage of the time before school starts. If possible let your child join a sports team or attend a day camp where they can make friends that go to their new school, and have these friends over for a play date. Take a test run: Do a practice first day of school and take your child to their bus stop or drive them to school. If possible arrange to meet their teachers before school starts and have a tour of the new school. Make teachers and administrators aware of the last school your child went to and ask if they have any helpful suggestions. Stock up on school supplies:Choosing their own backpack, lunchbox, binder or clothes might help your child feel more confident and in control on their first day. Be involved:If possible volunteer at your child’s school or help out with a school sport or club. Try to take an active role in their school environment and get to know your child’s friends and the other parents. Be patient: During a transition phase, your child may be quieter than ever, or begin to question everything. They might have more attitude than they normally do. Remember they’re reacting to a new environment, and you shouldn’t change your standards for how they’re expected to behave, but they will need time to adjust. Play school: Try role playing with your child before school starts. They can be the teacher and you can be the student. This helps them think about what these respective roles mean, and they’ll get to play with the concept of school, and see it as a fun scenario. Don’t miss out on ZZZs: During a stressful time, anxiety can make sleep difficult. Sleep deprivation can adversely affect mood and academic performance. Routine is really important during a high stress time of change. Make sure your child is getting enough sleep! If you notice your child’s showing signs of poor transitioning, it’s important to talk to them about it, and to meet with their teachers and administrators so you can work to target the sources of your child’s discomfort. School guidance counselors and school psychologists can also help with difficult transitions. They can sometimes designate a faculty member as a contact person with whom you can communicate. The school may even be able to pair your child with a “buddy” like a built in friend who is comfortable in the school already. It’s Back to School for some of our agent parents! In preparation of school, I hope you will take some time this weekend to enjoy your kiddos before the hectic school routines begin. I have noticed that many working moms and dads are already celebrating by way of brunches, spa days, neighborhood gatherings, etc. Parents are gaining their days and sanity back! I am not forgetting about our agents that are empty-nesters or have grown children. I am now in this category. The world is our oyster! We have our daily routines as well and can be more flexible with our time and money. We hope to see many of you back at the office as you continue your business routines or ramp back up from taking some Summer time off. We need you so we can meet our $1 Billion Dollar Sales Goal!!!!! We have many opportunities waiting for you at the office so please come by and talk with us. Sometimes it is hard to get back into the groove and we are here to help. Paint the Town Red is this Sunday and you can host an open house or visit some. Please utilize our office Facebook page, Dallas Metro North Agents, if you are looking for opportunities. Don’t let the Back to School stigma affect you or your business. The market is good and there are plenty of buyers and sellers for the taking. Take your unfair share! HB 890 amends the Seller’s Disclosure to add a general notice that a property may be located near a military installation and/or in a zone where high operational noise levels or installation compatible use restrictions may apply. The notice also directs a potential buyer to a local area impact study to obtain more information. Home buyers should specifically be made aware of the large number of highly-valued military installations in various locations across Texas and the potential impact of each facility’s operations on any nearby housing. This added notice attempts to accomplish both of these goals. A revised TREC Seller Disclosure Notice form containing this new requirement will be available on the TREC website prior to September 1, 2017. *If you take a listing on or after Sept. 1st, the sellers must complete this new Seller’s Disclosure. Our compliance department will be looking for this and will not accept any outdated Seller’s Disclosure on or after Sept. 1st. Please update any of your saved templates to ensure you have the correct form! There are conference rooms for agent use with clients … Conference rooms are not for daily work. If you are not meeting a client, please use any of our three common work areas or your rented office space. SIGN UP IS REQUIRED SO PLEASE SIGN UP AT THE FRONT DESK! What’s the GOOD News for August? Green Energy gains “power” in North Texas! In July 2017, the Environmental Protection Agency recognized the cities of Houston, Dallas, and Austin for being among the largest green-power users among local governments across the nation. Austin is also the largest city in the country to have 100% of all city-owned buildings and facilities powered by renewable energy resources. And now JP Morgan Chase announced this month that in Texas, 75% of JPMorgan Chase’s facilities will run on wind energy by the end of this year. That covers 584 branches and 8 million square feet, including a new 1.2 million-square-foot Plano campus. This announcement is in addition to the General Motors assembly plant in Arlington which will be the first facility of its kind powered entirely by wind energy by year end 2018. Facebook’s new data center in Fort Worth is also powered by a wind farm about 90 miles away. And 7-Eleven announced in April 2017 that it would buy wind energy for 425 Texas stores in the state’s competitive energy markets. IKEA also has rooftop solar on 90% of its US locations, including the newest Grand Prairie location. The new headquarters of Toyota will be partially powered by the sun, with an estimated 25% of the building’s energy needs supplied by onsite solar panels. Green energy is gaining “power” in North Texas. Facebook Data Center Opens in Fort Worth. The first of what will be five Fort Worth Facebook data centers officially came online in May 2017, while the rest of the $1 billion construction project continues around it. That means Facebook apps and services are now being brought to users, regionally first and to a lesser extent worldwide, from tens of thousands of servers housed off Texas 170 in the Alliance Texas development. When completed, the Fort Worth site will be Facebook’s largest data center to date, four buildings connected to form two “H” shapes, plus one standalone center, for a total of 20 data halls on nearly 150 acres. The Fort Worth site is Facebook’s fifth data center site in the U.S., with projects under construction in New Mexico and Nebraska as well. Professional eSports Team OpTic Gaming relocates to Dallas. OpTic Gaming (AKA The Green Wall) is a professional eSports team, and it plans to relocate from Chicago, Illinois to Dallas, Texas in the next few months. The organization has had a “team house” in the Chicago suburbs since 2013, when its Call of Duty: Black Ops II team moved in together. Several professional players and content creators have moved in since. OpTic is one of the biggest and most well-known brands in eSports, evidenced by its 1.4 million subscribers on YouTube. The organization has a huge following in Texas alone, with viewers in the state having watched roughly 7.6 million minutes of videos on OpTic’s YouTube channel this year alone, …that translates to a total watch time of 14 years. Currently competing in Call of Duty, Counter-Strike, Gears of War, and Halo, OpTic has taken home numerous championships throughout its history. Rental Home Company, Invitation Homes, just got larger! Two of the nation’s biggest rental home companies are combining. And one of them is in North Texas. Dallas-based Invitation Homes — which owns more than 50,000 rental houses around the country — is buying Starwood Waypoint Homes. Together, the firms will own more than 80,000 rental properties valued at more than $11 billion. The combined firm will be headquartered in Dallas. Invitation Homes owns nearly 50,000 houses in 13 major markets, including Atlanta, Charlotte, Chicago, Jacksonville, Las Vegas, Minneapolis, Northern California, Orlando, Phoenix, Seattle, Southern California and South Florida. Starwood Waypoint Homes, based in Arizona, is one of the largest publicly traded owners and operators of single-family rental homes in the country. North Texas Realtors on track to beat previous sales record! North Texas’ housing market headed into the second half of 2017 with a double-digit sales gain. Area real estate agents sold 10,545 preowned single-family homes in July — up 11% from a year earlier. July had the second highest home sales total ever in North Texas following the record 10,962 housed that traded in June, according to data from the Real Estate Center at Texas A&M University and the North Texas Real Estate Information Systems. Through the first seven months of 2017, a record 61,616 houses have sold. If the pace of property purchases continued, North Texas will beat the all-time high of more than 100,000 homes sold in 2016.